after watching episodes on the internet, I want to talk to the people of YCG about the newest series. So, here is the thread to discuss. I'm up to episode 9 and love the feel of the anime, I'm surprised by some of the archetypes that have made an appearance such as Battleguards, Constellars, and now Gem Knights. so far Fusion and Xyz's have made an appearance but unfortunately so far it looks like Ritual monsters wont make an appearance which is a bit saddening. what site do you guys use? And the character who used them, you think with the Shinai he was holding he uses the Six Samurai deck, at lest that what I thought before it went on air and I'm glade he didn't. I would have cried if that guy had used Samurai. Especially when it would make no sense considering their not a DT archetype. Btw, I love this series so far, it might be my favorite. They're pandering to the DT tribes, they have interesting characters with decks that I ACTUALLY WANT TO PLAY, we have all forms of summoning, an interesting female lead that actually duels, a great antagonist, an entertaining protagonist that's not invincible, and actually teach you some of the basics of the game. DEATH to the SIX SPAMS!!!!!!!!!!!! 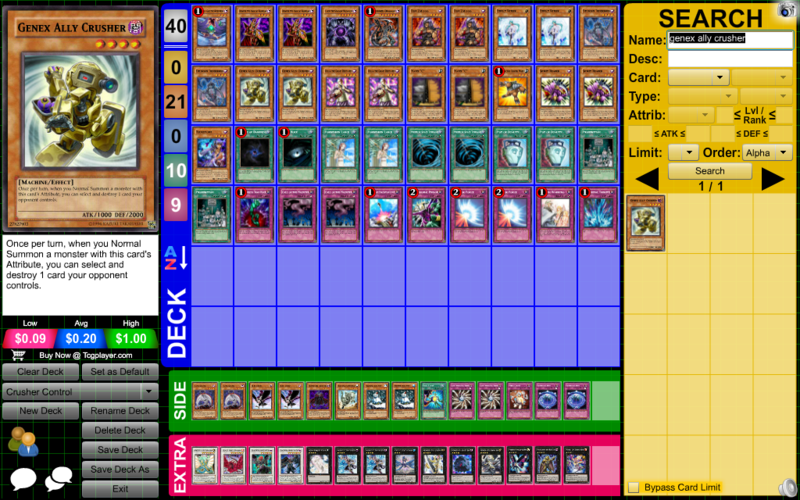 Are there any Arch type decks anyone hopping to see in this series that haven't appeared in any other yugioh series? I really love Arc-V. It's almost as good as 5D's so far, imo. Can't wait for the English Dubb, hope they play the first 2 Episodes on the same day not 1 on one week and 2nd the next. Last edited by Lithium on Sat Jul 26, 2014 8:58 am, edited 1 time in total. It looks to me from the first couple episodes they're trying to mix serious plot with average comedy, idk if it's worth watching anymore. Does the style change or the show get better as it goes on? so, what do you guys think of "Cookmate" monsters? Week in ATK but very tricky in effects and combo moves. History is repeating itself, People are being trapped in cards like what Pegasus did.